Darren Hill is a Managing Director at Capital Real Estate Advisors (“CRA”). Mr. Hill is responsible for sourcing, underwriting, documenting, and closing West Bay transactions. Mr. Hill reviews all due diligence materials and works closely with West Bay’s attorneys, title and escrow officers, and other consultants to ensure all of the appropriate documentation is received and satisfactory prior to a loan funding. Prior to CRA, Darren was a Director at CBRE Investors – Strategic Partners for 7 years. Darren was responsible for sourcing, underwriting and closing value-add and opportunistic investments, including direct equity and joint ventures, for a series of closed-end commingled funds with assets in excess of $10 billion. Darren’s achievements included 30 acquisitions totaling $2.1 billion and dispositions in excess of $1.3 billion. Prior to CBRE Investors, Darren was an Assistant Investment Manager at American Realty Advisors in Glendale, CA. At American, Darren closed complex structured investments on behalf of a value-added fund focused on retail repositioning and development. Investment structures included subordinate debt and joint venture equity. Darren closed over $75 million in investments to kick off a new fund and investment program. Darren also managed a portfolio of debt and equity investments totaling nearly $100 million. 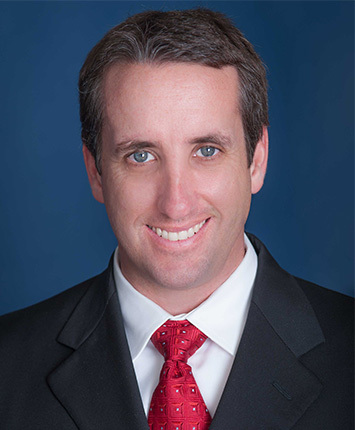 Darren received his Bachelor of Science degree in real estate from Arizona State University in 1996 and his Master of Business Administration from the University of Phoenix in 1999.